Verizon Enhanced Communities can help you provide your residents and tenants with the ultimate amenity— Verizon Fios services, including super-fast Internet and crystal-clear HD TV, delivered over the Fios 100% fiber-optic network. Today's prospective residents go out of their way to find properties that support their digital lifestyle. Whether you own a single property or an entire portfolio, Verizon Fios provides a solid foundation for high-performance returns. When your building is powered by Fios, your residents have the bandwidth they need to enjoy streaming video, gaming and more. Plus, a Fios-enabled building has access to special programs, services, and applications that set it apart from the rest. 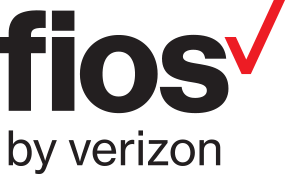 Enhance your commercial property while signing and retaining more tenants with the future-ready possibilities of Verizon Fios. Your business tenants need the speed of fiber-optics to stay vital in today’s competitive environment — and so do you.